As housing prices and rents soar out of control in tightly regulated cities like San Francisco and New York, many people have called for a significant loosening of zoning rules to permit greater densification. Many policies contribute to unaffordable housing, including rent control, historic districts, eminent domain abuse, and building codes, but zoning puts an absolute cap on dwelling units per acre thus is generally part of any solution to the supply problem. What’s more, as recent commentators have started to notice, even many of America’s most dense cities are predominantly zoned for single family homes, calling into question the need to dedicate so much space to a single housing typology. The poster lets his feelings be known by using scare quotes to denote single family “character” and blaming the zoning for Seattle’s high rents. These complaints and the proposed solution of more dense multi-family development may be true in a technical sense, but what would carrying that out mean for people who actually live in our cities? Some critics may disdain the character of single family districts but few of these pundits ask the question of what eliminating lower-density housing actually means to the survival of the urban middle class. Districts, like the Portage Park example Daniel Hertz gave in Chicago, are some of the last bastions of middle class family life in the city. It’s clear that some densification can be implemented without radically changing the appearance or functioning of the built environment. Allowing 2-flats and coach houses, or even the corner apartment building or townhouse development, wouldn’t ruin Portage Park. There’s no reason such things should not be allowed. But nor would they make a major dent in affordability in places where a tidal wave of global demand is washing over the city such as in San Francisco. To materially boost the number of units in an era in a manner that moderates prices in a highly desirable place like San Francisco would require massive changes in the built environment of its neighborhoods. This would radically transform the character and nature of the city in question. If San Francisco were really covered in skyscrapers, it would cease to be San Francisco— a city of low-rise buildings framed by hills that would be obscured by high rises. There may well be the same geography on the map labeled as such, but it would be a completely different place. We would have to destroy the city in order to save it. We can build some housing incrementally, without changing the skyline or cityscape, but not anything like enough. To produce enough homes to matter, fast enough, we’re going to have to fundamentally alter parts of our cities. That, of course, demands a local government willing and able to plan and permit such widespread change. It also takes an array of homebuilders doing the actual work, often in more innovative and low-cost ways, like more collaborative housing, manufactured buildings and flexible living spaces. Most of all, it takes broader public insight into how large-scale development can improve our cities. In other words, it’s a major change in communities that requires selling the public on the idea. He believes that young people will be the agents of change here. This shows perhaps one of the signature affects such changes would have. They would displace families by eliminating their preferred housing typologies in favor of forms more amenable to predominantly younger singles or the childless for whom living in an apartment with no backyard is more likely a relief than an imposition. But it’s hard to imagine cities as places for solving the problem of climate change if they are, like San Francisco, increasingly places devoid of families with children. Steffan also says affordable housing is a social justice issue. Yet is it really social justice to require everyone to have equal access to San Francisco, population 825,000? I think not. Especially not when America is replete with urban centers whose biggest problems are depopulation and worthless houses that you can’t give away. There are plenty of options of places for people to live; we should look at making our now failing cities more attractive to people who may like the housing and neighborhood, if not for issues such as crime and poor schools. There’s no guarantee in America that you can afford to live in the place you might most want to choose. That’s long been true of suburbanites and city dwellers alike. Also, the willingness to fundamentally reshape cities is odd in light of the fact that such previous attempts are uniformly viewed in the urbanist community as disasters. 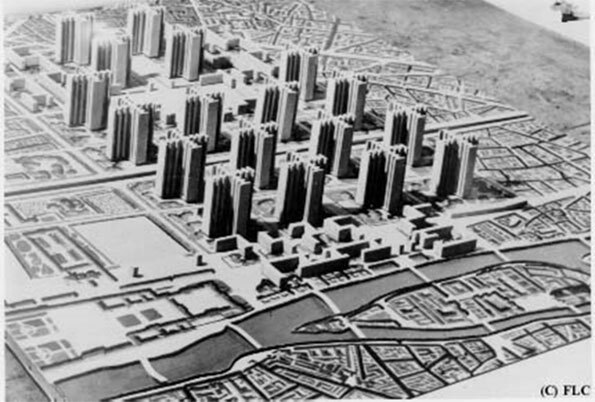 The idea of Manhattanizing San Francisco brings to mind nothing so much as Le Corbusier’s Plan Voisin for Paris, in which the historical cityscape is replaced with towers in the park. Fundamentally altering ParisOf course no one is actually saying to take it this far, although Glaeser’s vision gets close it. But once we enshrine the rule that a certain threshold of unaffordability means more density and building regardless of neighborhood character, it’s hard to see what the limiting principle would be. Also, high rises or even buildings above 4-5 stories in height usually require expensive construction techniques, and thus are inherently costly. It’s true, however, that cities are not static entities. Every downtown skyscraper in America is built on a site that was once used for something else. Yet we see this densification overall as a good thing. Had Manhattan been preserved as of its pre-skyscraper era, it’s not clear the city would have benefitted. Clearly the zoning and building regulations in our cities are often too strict. Yet the disasters of previous generations’ radical change suggests that incrementalism is a better course. By all means allow two-unit houses, corner stores with upper story apartments, etc. into currently all-single family zones. Add areas where high rises are allowed the peripheries of districts currently zoned for such; warehouse districts as well as office buildings that are not well occupied. But don’t bring out the bulldozer wholesale. Additionally, a healthy city should make sure to embrace the entire palette of housing types — including single family homes. There’s more to making cities attractive to middle class families than just cost, and things like the prospect of a backyard for the kids to play in are among them. And given the relatively few intact and attractive urban cores in America, prices are going to continue to go up. That’s true even with radical new building. As mentioned, San Francisco only has a bit over 800,000 people. Boston and DC have only about 600,000 each. How many people can you plausibly put into these places? Realistically, not all of us who would like to live in San Francisco or lower Manhattan are going to be able to do so. That’s true no matter how many skyscrapers we build. This post originally appeared at New Geography on February 26, 2014. This article reminds me of the debate I often read on GreaterGreaterWashington surrounding lifting DCs height limit. San Francisco is injected into the debate often, by people on both sides of the argument, in terms of high housing prices and human scale devlopment with pleasent sightlines occurring simultaneously. Corb’s Plan Voisin is one of the most misused and poorly-understood pieces of planning history… it’s never presented in its proper context. First, it was a futuristic concept done for the Voisin auto company (not unlike GM’s Futurama at the 1964 World’s Fair). It was emphatically not a scheme intended to be plausible; it belongs in Popular Mechanics. Second, the radical demolition of the Plan Voisin was only acceptable in light of Paris’ EARLIER radical demolition under Baron von Haussmann. The Manhattanization of San Francisco would not be a wise maneuver and would turn into a ticking Time Bomb for a pending great catastrophe on Biblical proportions. The city virtually sits on the deadly San Andreas Fault and is located adjacent the Hayward Fault. Densification of infrastructure with additive metric tonnages of steel, glass and concrete piled in layers in a concentrated area would only mean the city would become extinct if the “Big One” (Megaquake) should strike resulting in greater carnage of the dead due to the dense infrastructure collapsing on a higher concentration of populace, and because the costs to just clean up the collapsed infrastructure would be unfathomably colossal and prohibitable, let alone costs for reconstruction. San Francisco would literally be abandoned and become historical ruins for future vacationing tourists. – Chicago’s PUD process has brought many multiunit developments into the city that don’t show up in this type of analysis. 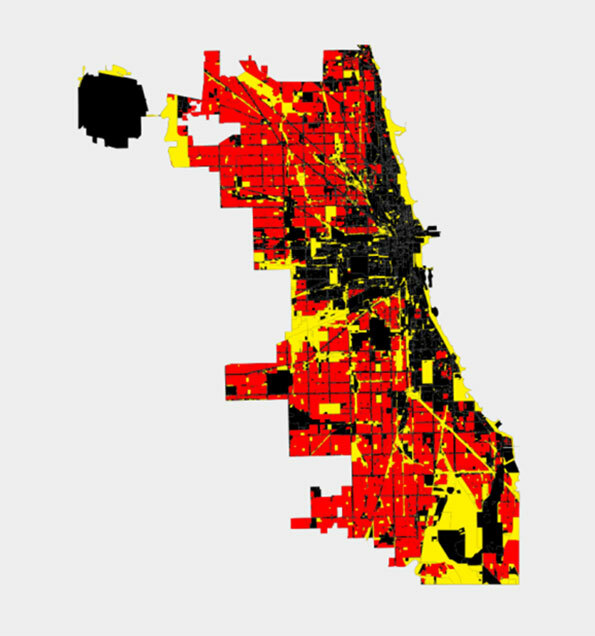 – If it’s density you want, you already have it with Chicago’s single family home districts, at least compared to suburban areas and most other cities. Most single family areas in Chicago net about 8 units per acre, at least twice what you’d find in the ‘burbs or less dense cities. – The choice is not and should not be between high-rises and single family home districts, but between single family home districts and moderate density (2-4 unit) districts. I agree that maintaining housing types that serve a middle class lifestyle are important for cities. I myself had a bungalow home on the South Side for many years and I believe such neighborhoods are critical for the future of the city. I also think an incremental approach to increasing housing options (accessory units or “granny” flats, upper-story units above commercial, 2-4 unit buildings) would be a much more palatable response than an overall relaxed ordinance. What’s wrong with a high-density, low-rise city? Many of Tokyo’s wealthiest suburbs (in places like Setagaya and Suginami ward) fit that bill–substantially denser than places like San Francisco, but with few buildings above 2 floors. Most houses are detached, but instead of yards, they have perimeter walls enclosing a narrow buffer of land around the building itself–these buffers are usually well-planted; the perimeter walls themselves are often adorned with vines, shrubs, small trees, etc, to create a verdant effect. These neighborhoods are also, needless to say, full of families–children play at any of the numerous small parks and playgrounds throughout them. Transitioning to a Tokyo-suburb style of development would, of course, be a fundamental change in the character of places like Seattle or San Francisco–but the new character would be very supportive of families (safer than today, with narrower streets and less car traffic), wouldn’t require high-rises, and would allow development to keep up with demand. Also, nobody can say that Tokyo’s design isn’t suitable for surviving earthquakes! 1. Are you not aware that the existing character of these cities is a “fundamental change” from their previous character? 2. The “how many people can you put in” argument is not consistent with factual reality. Manhattan has four times the density of San Francisco, and is chock full of family-friendly townhouses. At Manhattan densities San Francisco would have 3 million people. And Manhattan is NOT, repeat NOT, all high rises. At the densities of Mongkok (the most densely populated part of Hong Kong) San Francisco would have about 12 million people. 3. As a matter of political reality I don’t think it is often true that neighbors will stand for incremental additions. Because there are ZERO costs (other than time) to resisting new development, some neighborhood activists will resist any change no matter how minor. In one acre lot suburbs they resist four houses per acre, in four house per acre suburbs they resist eight houses per acre. 4. The “high density low rise” model works but not if it is only implemented in a few places- that way you get only minor increases in housing supply. If you made every single-family zone a two-story zone then it might work. And one more thing: the % of family households (persons with someone under 18) is the exact same in Manhattan and San Francisco, according to the City and County Data Book. (http://www.census.gov/prod/2008pubs/07ccdb/ccdb-07.pdf ). So the claim that Manhattan-like densities are somehow less palatable to families than San Francisco density fails. And that’s WITH Manhattan’s high cost of living. With 3 million people San Francisco would be cheaper and thus more family-friendly. This piece is zany. The central argument is based on a straw man, which is that expanding housing availability would ‘destroy’ a city. It would not. The city would change, but the change would be incremental and- guess what- that’s what cities do! They change! They adapt! The way you destroy a city is by using the deadening hand of government intervention to try to select for some particular outcome. That’s what has happened in San Francisco, where activist residents have subverted the planning process to prevent the construction of much-needed homes for the city’s expanding economy. The zoning regulations have had a distortionary and regressive effect, experienced most acutely as a lack of affordability. There is really no justification for them. While saying taller skyscrapers should be allowed, it’s kind of like harping on NASA’s budget while the military budget gets no scrutiny. Because such large swaths of our cities are zoned for single-family (even if it’s small-lot and fairly high density already) then a minor upzoning will have the potential for a large impact in housing supply. It’s also easier to maintain “character” in that situation too. Cincinnati for example has thousands of 4-plex apartment buildings from the 1930s scattered throughout many of its single-family neighborhoods, and while many have a distinctive art deco look, the tudor and colonial revival styled ones are difficult to distinguish from the rest of the houses. 1- I think this is something that gets somewhat assumed away in pro-market critiques of land use regulation. 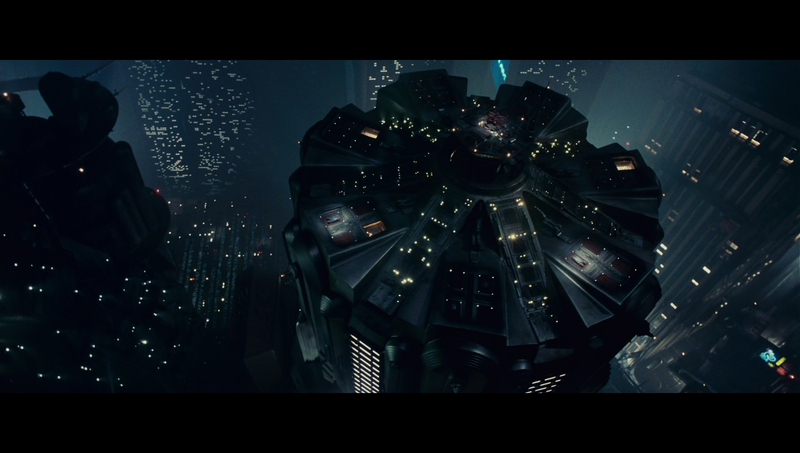 That said, there is a LOT of map to play with, and it seems unlikely that there’s enough demand out there to go full Blade Runner across the city limits, so I’m not sure how significant a worry this should really be and so to some extent it is a strawman. 2- Achieving your idea of ‘incrementalism’ would represent a massive change, take herculean efforts, and is of questionable political feasibility. That’s unfortunate, since it’s quite reasonable (though you left out eliminating minimum parking regulations!). In some sense, might opposition to that sort of incrementalism push land values and restrict opportunities to the extent that towers and really fundamental alterations are necessary in order to balance against against the political risk and tight land supply that are created by fierce resistance against duplexes, apartments, and corner stores? Somerville, MA is mostly composed of 3-family “triple deckers,” and it’s one of the most densely populated places in the country. I really agree, Aaron. And I would add that I find a lot of the talk about radically adding density comes from people who don’t imagine much human-powered transportation. In order to have New York-style subways, perhaps, one needs skyscrapers in every direction. But medium density and even low-density cities are extremely sustainable in terms of their transportation. I like to remind people that even though Providence is only around 9,000-10,000 people per square mile, it’s 50% denser than Groningen, Netherlands, a city with light rail and a 60% biking mode share in its downtown. I also wonder who would grow the food. One of the things that makes our lifestyle so unsustainable is that we have highly mechanized, highly monotonous food production. Presumably we’d like to also move towards some degree of getting people back into food production–maybe not to historic highs when 90% of people were involved, but certainly more than the 1 or 2% involved in the U.S. today. As someone with a partner who grew up in a rural part of Massachusetts, and who is interested in growing food, I think that density will definitely help preserve farm land, but going overboard on it will mean there’s no one to work that farmland. 1. The issue isn’t overall density; it’s whether the supply of housing is meeting the demand. In large parts of Chicago, including pretty much the entire North Side (not to mention huge areas of the suburbs), it definitely isn’t. The PD process does offer some flexibility, but not nearly enough: every PD project gets downsized substantially through public meetings, and it’s way too cumbersome to be used for simple three- or four-flat developments. 2. Building 3- and 4-unit buildings is *exactly* what I’m talking about – and it would require a general loosening of zoning restrictions to do. I think it would also be good to allow midrises as-of-right, at least along major streets, but if I had to pick one or the other, the 3- and 4-unit limit clearly has greater potential to increase supply, especially if it were applied to the suburbs as well. 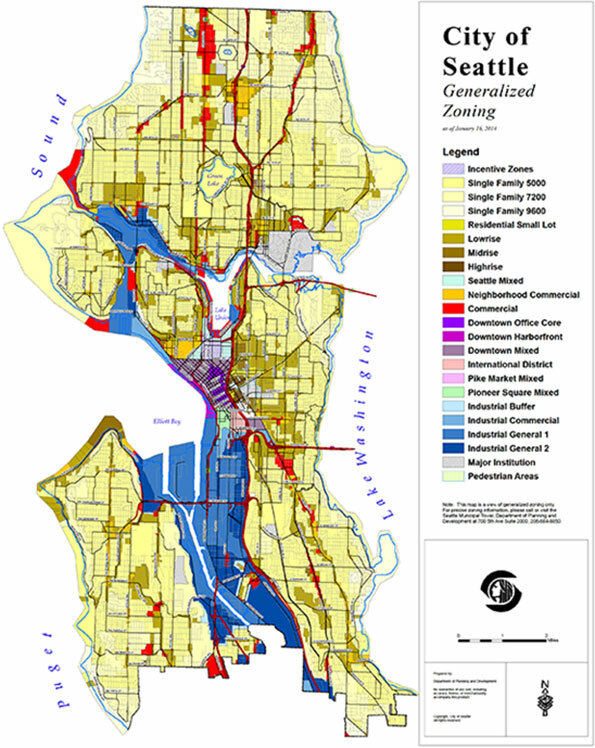 Can we get a version of Daniel Hertz’s maps where the areas that permit two flats aren’t marked up as single family only? It’s hard to believe a writer who says, “No BSing,” and then goes on to immediately BS you. If I live in a 3-story greystone in Lakeview, Chicago or a single family home in Andersonville, Chicago. Is it really appropriate for my neighbor to build a hi rise? This discussion is out of context and blaming zoning for lack of density is a continuation of blaming planners for sprawl and big box parking lots. Zoning is and always has been reactionary to context. Alex Forrest, it’s true that 2-floor single family housing can be quite dense, I estimate 10 000 to 15 000 people per square mile in residential areas in single-family areas in Japan. That being said, Japan isn’t exactly the poster boy for strict zoning codes mandating low height limits. Zoning in Japan is much laxer and uses aren’t separated as much. For one thing, Japanese land use law doesn’t differentiate between single-family and multi-family housing, both are considered “residential”. Cities do have the right to limit Floor-Area Ratio within a certain range allowed by the national government, but this means that in low-rise residential areas, it isn’t uncommon to see 2-story apartment buildings amid single-family housing. Yes, I did mean the national government. Cities do not draft their own land use or zoning laws in Japan, there is one law for the entire country, cities are tasked with applying it, but not with defining it. A good thing from my point of view. As to the neighborhoods you mentioned like Setagaya, it isn’t rare in those places to see both single-family housing and 4- to 8-story apartment buildings very close to one another. The taller buildings are put near arterials and low-rise housing in the narrow streets behind the bigger buildings. So the Japanese generally do not make these entire neighborhoods of strict limited height, they mix up residential forms quite a lot. If you want examples of cities with decent density (8 000 to 10 000 people per square mile) but with strict height limits and specific zoning codes to uniformize neighborhoods, see Dutch villages. You could just as easily argue “Is it really appropriate for my neighbor to build a 4-story greystone or a two-family home?” And I suspect NIMBYs do so all the time. Ultimately, the issue is: should zoning be so “reactionary to context” that it enshrines the status quo forever? There is nothing inherently anti-family about densification. People have been raising families in row-houses and courtyard buildings for millenia. There is something very anti-family about expensive square footage. Deregulating density is a completely different animal than large public housing projects. Putting them in the same breath is just mood affiliation and is beneath this blog. Areas of density-decriminalization can provide an outlet for demand while preserving the areas that actually deserve it (though such areas in the US are few). What in the world makes you think loosening restrictions would lead to Manhattanization in the first place? San Francisco can hold several times the population and still not be Manhattan, even ignoring the ability to densify other communities in the Bay Area. The urban middle class isn’t threatened by densification, it’s threatened by restrictions which make the city artifically expensive. Sure, nobody has a right to shelter in San Francisco, but that doesn’t mean we should use government policy to artifically exclude people from building shelter in San Francisco. Nonsensical. Clearly there are big differences between the value of different places. Just because Detroit is cheap doesn’t mean we don’t have a social interest in making NY/SF/etc cheaper. You’re just excluding people from valuable labor markets. Straw-men and non-sequiturs. Extremely disappointing. People can be pro-suburb or anti-market, absolutely, but they need to make intelligent/interesting arguments to be worth anyone’s time. I will stop reading Urbanophile if there’s much more of this. Oops, in my post I realized I made a mistake converting people per square kilometer to people per square mile. Japanese single-family housing have 6 000 to 10 000 people per square kilometer, so about 15 000 to 25 000 per square mile. Dutch villages I’ve checked on Google Maps tend to have around 5 000 to 6 000 people per square kilometer (so 12 000 to 15 000 per square mile). I’m shocked that neither this article or any of the comments have referenced Vancouver’s “tower and base” approach to increasing density along major arterials while preserving key sightlines. And while I get the point that we shouldn’t allow random skyscrapers to appear in neighborhoods (which incidentally, is more of a problem in libertarian planning fantasyland Houston), this is a straw-man argument. What we’re really talking about here is a modest expansion of the “skyscraper areas” along major commercial routes and a significant expansion of those areas where you can build up to a height of 2-3-4 stories. Anything else is just fear-mongering. Speaking of fear-mongering, modern high-rise construction is arguably one of the safer places to be in an earthquake. It’s the older, unreinforced low rise construction that’s most at risk. James Kennedy, about that comparison between Providence and Groningen, you said that Providence is 50% denser. That’s not really a fair comparison, Providence is essentially all residential, Groningen has a major industrial park in its border and quite a few agricultural fields. The reality about density is that local density is of vital importance, average density over a large area means nothing. So though on average over the entire city area, Providence is 50% denser than Groningen, if you instead look at the density of the residential areas alone, you reverse the conclusion. Groningen’s residential and mixed areas have a density of 6 500 people per square kilometer (around 16 500 per square mile), Providence’s residential and mixed areas have a density of around 4 000 people per square kilometer (10 000 people per square mile), so Groningen is 65% denser than Providence. That’s the same thing as when people compare LA and New York and say that LA’s average density is higher, but in fact, New York’s densest neighborhoods are much denser than anything in LA. If you want a soundbite, density is better when it is densely concentrated and not evenly spread around. Density’s good, but proximity between uses is also vital. If residential areas are dense and commercial areas are dense, but both are separated by distance or by natural or artificial features (rivers, freeways), then that makes walking and cycling much less useful. Although I can’t say that I fully agree with the suggestions in this blog post, the cost structure for living in many of our cities like Boston (see my FB post regarding Longwood Towers in Boston) is getting completely out of control. Nevertheless, a wholesale tanking of our zoning codes to encourage greater density could result in a significant reduction in existing property values, forcing many existing owners underwater. Is there a midpoint we can pursue? The areas I highlighted that allow two-flats allow them only if you have a double lot, which completely negates the increase in density, and I don’t know that I’ve ever seen such a two-flat. On a few blocks that are already majority apartment buildings, you only need something like 1.5 lots, but lots generally aren’t really sold in halves, and there aren’t a ton of irregular-shaped lots 1.5 times larger than the standard size anyway. It wasn’t BS. Interesting topic. I looked at census data for private residential construction in San Francisco versus Dallas in 2012, and noted that San Francisco actually had a greater amount of residential construction ($919 million vs $640 million). This, by the way, was a year in which the Dallas metro area experienced the greatest population increase of any metro area in the U.S. (131,000 residents). A key difference was that Dallas contructed over twice the number of residential units (7085 vs 3089) which was reflected in the average construction cost of approximately $297,000 per unit in San Francisco vs $90,000 in Dallas. These are construction costs as reported on building permits, and don’t include land or other development costs. As these are average costs, they could be significantly affected by some very high end ($2 million – $5 million per unit) developments in San Francisco for which there was a robust market. In any event, private market residential construction investment in San Francisco still significantly exceeded that of Dallas (a 50% larger city in the fastest growing metro area in the U.S. and in what may be the least regulated state in the U.S.). This doesn’t necessarily contradict some of the opinions in the article or comments, but does point out that very significant amounts of residential development are occurring at this time in San Francisco. Another interesting statistic from the private residential construction data is that 99% of the new units built in San Francisco in 2012 were multi-family. This is up only slightly from a value of 97% in 2000. In Dallas, the share of new units occurring as multi-family is now at 87% – up significantly from 57% in 2000. It seems that not a lot of single family homes are being built in Dallas either at this time (somehow, I don’t recall any articles accusing Dallas of having restrictive zoning or an overegulated housing market in spite of a dramatic drop off in the construction of the housing types favored by most families). Some of the comments seem to suggest that a goal in San Francisco should be to dramatically drive down average housing costs – presumably by vastly increasing supply by loosening building restrictions. This doesn’t make sense. It’s hard to see how collapsing the housing market (if this was actually a possibility) would be a positive development. It would destroy a huge amount of wealth, and probably drive a lot of the existing real estate developers into bankruptcy (most of whom have significant investments in land, or prospective development projects, based on current land and property values). Another consideration would be to look at the amount of low income or working class housing being developed in cities with sustantially lower land costs. I know that in Milwaukee, in spite of much lower land costs and lots of available land, market rate developments that are occurring are targeted almost exclusively at higher income residents. Affordable housing projects are either public housing projects by the housing authority or not-for-profit groups, or projects receiving significant tax credits that require having a certain number of units set aside for lower income residents. I can’t see how the same dynamic would not be true in San Francisco. This is the source of the building permit data in case anyone is interested. David Holmes, I’m afraid that I don’t see how loosening zoning rules would decrease land values or plunge developers into bankruptcy. Surely a multi-unit building has more revenue than a single unit building? Or are you suggesting that adding four-unit residences to an area with predominantly single-family residences would significantly harm property values? The effect of upzoning on property value is complicated. On one side, upzoning creates a lot of opportunities with the land, which becomes much more valuable. On the other, the addition of mid-rise or high-rise buildings in a neighborhood of single-family housing may lead to people who want houses to look elsewhere or even people who currently live there to want to leave. That’s not inevitable mind you, some countries have single-family housing close to high-rise buildings, but the cultural mindset in America doesn’t tolerate mixed residential areas well. So land value may increase, but building value may decrease. But I don’t think it’s mostly about property value. An higher property value is useless if you don’t want to sell your property, it just leads to higher property taxes. And that’s the issue I think, people fear that their neighborhood will be “destroyed” or at least will change significantly through upzoning. May fear losing their community more than they fear losing money on declining property values. I think the building permit data you had is useful for understanding the costs of building new housing, but it’s not all that useful for determining the effect on the overall housing supply. For that we’d need to see the net addition of housing units, not the gross addition. There’s an additional consideration the original post does not make. What if the local political constraints on upzoning continue to raise the prices of single family homes out of the reach of young families, the households that are purportedly at the center of the moral universe? ARC – the goal of loosening zoning restrictions, etc. seemed to be not to simply build more housing, but to address the affordability issue. There’s plenty of housing in San Francisco if you are willing and able to pay the current market price for that housing. If the goal is to build enough new housing that there is ample supply of family-sized (3- to 4-bedroom) residences at prices of $300,000 to $400,000 instead of >$1 million, there is no way to sustain this price point for new housing, unless the price point for all existing equivalent housing drops to the same level. Supply can be increased with reduced restrictions – but increased supply and reduced prices implies decreasing values for the entire housing stock. 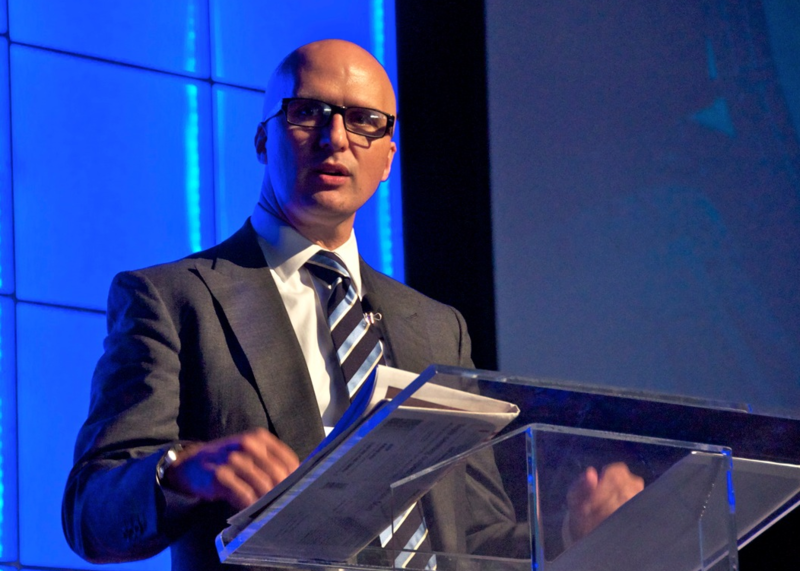 There is a market price that will apply to both new and existing housing. Ben L.: I introduced the building construction data merely to provide some actual data on residential construction in San Francisco and some comparable data for a city (Dallas) which would be considered to have implemented as development friendly policies as could conceivably ever be implemented in San Francisco. I looked at the data for Houston as well. They were pretty similar to the data for Dallas. @ Michael Lewyn Someone that writes for Better Cities & Towns, or at least copies the ideas of other writers, should at least respect the ideals behind the transect. Seems to me you’re conflating unit price and land price. To oversimply, even if densification drives down the price of a 3-4-bedroom family-sized unit, the owner of a parcel that could accommodate several of these residences (in some configuration) would see his land valued on that basis. Valar84 makes the good point, though, that the consequences of upzoning are more complicated than that, particularly at the margins where the second- or third-order effects of supply restrictions were driving up prices. 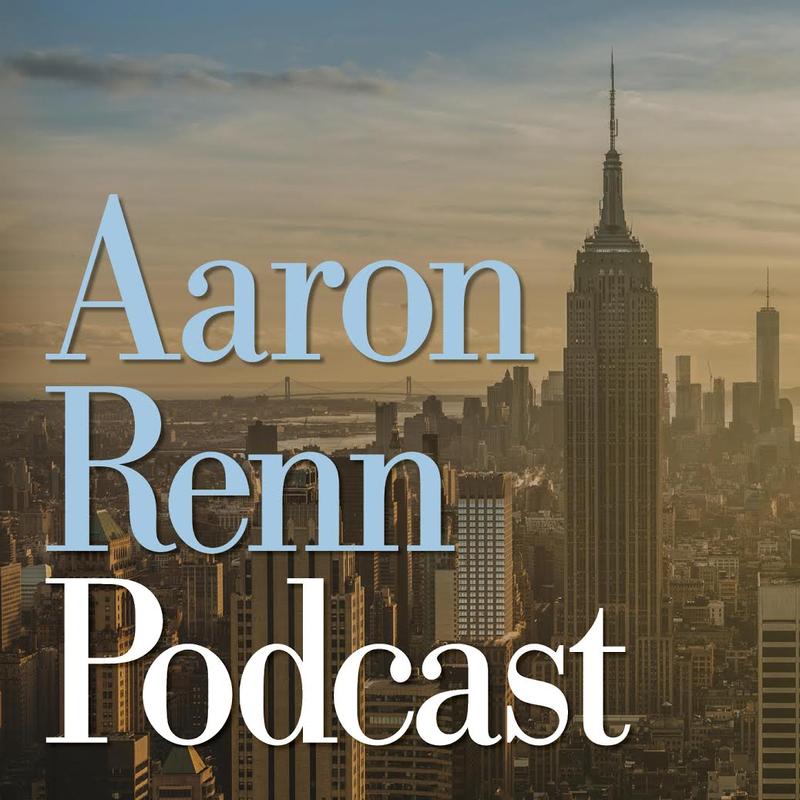 I agree with Andrew: while the per unit price will decline (which is the main objective, if you want affordable housing), the per-land area price might rise. If you want to maintain or increase the property values of current property-owners, then densification is not the problem–any attempt to add affordable housing will decrease the value of existing units. Similarly, making housing less affordable will increase the value of existing units. It’s not clear why keeping per-unit prices high, at the expense of everyone who cannot afford to live there, is in and of itself wise. I can’t claim the authority you, Daniel and Rasmin have on the subject, but thought these might add to the conversation. @Andrew, thanks for sharing. We don’t operate on an “appeal to authority” model around here. Cogent thoughts are welcome from anyone. I guess the pricing dynamics is too complex a subject to address well in brief comments on a blog. What would help advance the discussion would be to see data on the pricing for the units being built, and the extent to which this is dominated by high end housing. There are probably a lot of policies that could be implemented to encourage construction of a greater range of affordable housing units. I don’t know the specific of the San Francisco market and the extent to which these are already being attempted. Although per unit costs for construction of housing units in high rises are higher, I suspect that in San Francisco, the costs for land are a much greater driver of high costs than the additional costs associated with high rise construction. So – if you could build mid-rises or high rises in areas not currently zoned for high rises, where land might be $500,000 or $1 million per acre instead of $10 mllion per acre in areas zoned for high rises (note – I just guessing here at land prices), then you could probably significant increase the supply of reasonably priced homes. A couple of factors not noted in the article or comments that are working against affordable housing are the recent elimination of tax incremental financing (TIF) as a tool to support development, and Proposition 13 underwhich new housing is subject to higher relative property tax rates than existing housing. I have not read an analysis of the impact of the elimination of TIF funding, but its hard to see how it would not drive prices higher for most urban development as developers would be required to foot the bill for extraordinary infrastructure or environmental costs that are often associated with redevelopment. Reading these comments is like watching an episode of “Through The Wormhole”. Specifically, one on “Will We Be Able To Communicate with Aliens”. I live in San Juan County, WA. The density here is about 25persons/sq mi. And many of us think this is vastly overcrowded! A trip to Seattle is like visiting Dante’s Inferno. That’s not inevitable mind you, some countries have single-family housing close to high-rise buildings, but the cultural mindset in America doesn’t tolerate mixed residential areas well. So land value may increase, but building value may decrease. Even in sprawl cities, high-rises are sometimes only a block or two away from single-family homes. For example, Atlanta’s Peachtree Street is full of high-rises but single-family homes are on nearby side streets. The sad thing is that few things can “save” a lower density but walkable community’s shopping district like the addition of apartment buildings. Forest Hills in Queens, NY was planned to have a variety of housing types, anchored by apartments and town houses. The later construction of large apartments only helped the transit while keeping the older Forest Hills Gardens intact. The tower in a park might have been a dumb idea, but the tower in a neighborhood can work really well. “Hells Kitchen” in Manhattan also combines tall towers and old tenements really well. Obviously towers of this type would not be “random” but based on perceived demand & likely based on logical factors like shopping, street design & available transit. I doubt that most areas where they are likely to appear would be seriously harmed by them. Most likely the visual impact of tall towers is lower than blocks of lower buildings. Those things would make a HUGE difference in Seattle and Chicago, even if they wouldn’t affect San Francisco’s situation much.